Unlimited 1.5x rewards on every purchase, every day. For every $1 you spend, you earn 1.5x Miles. Get a mile-for-mile match of all the rewards you’ve earned at the end of your first year, automatically. Redeem your rewards in any amount for cash or a travel credit. You’ll always get $1 for every 100 Miles you’ve earned. 100% U.S. based customer service. Talk to a real person any time. Effectively, this is an ongoing flat 1.5% cash back card with no annual fee and a few added perks. The rewards structure is relatively simple. The card earns 1.5 Miles on all purchases, with no special categories. There is no annual fee. 100 Miles = $1 cash direct deposited into your bank account. You can also redeem at the same value towards any travel purchases, but why bother? As long as you have a bank account, I say go with the cash. So I would call this a flat 1.5% cash back card. But for the entire first 12 months, you can earn unlimited 3% cash back! The “sign-up bonus” here is that you get double miles at the end of your first year. Since you can convert directly to cash, that means 3% cash back for an entire year. That’s a rare offer, as 3% is probably more than Discover even rakes in through merchant fees. If you put a lot of spending on your credit cards, this can be a big deal. At 3% back, many bill payment options that charge around 2% fee start looking much better. For example, if you pay estimated taxes to the IRS every quarter like I do and paying by credit card only costs 1.87% (Discover accepted). That means I can get 1.13% back on all my tax payments. Perks include a $30 inflight WiFi credit and free FICO score every month. They also threw in no foreign transaction fees, and Discover card is pretty well-accepted in Asia (works as UnionPay in China, JCB in Japan). Discover continues other features from its non-Miles card like the free FICO, US-based phone reps, and no late fees on first late payment. In terms of comparison, recall that I just wrote about the best 2% flat cash back cards – Citi Double Cash and Fidelity American Express. So for the first year this card wins with 3% vs. 2%, but on an ongoing basis you’ll fall behind at 1.5% vs. 2%. Like I said, the 2% cards offer a solid minimum baseline, but there will often be situations where you can beat 2% like this limited-time offer or specific cards with special categories. If you are comparing against the Capital One Venture Rewards card which is another travel-oriented card that offers 2 “miles” per dollar, the major differences are that it has a $59 annual fee and no $30 inflight WiFi credit. The no annual fee version only offers 1.25 miles per dollar. Follow-up on Costco dropping American Express. Costco has announced that it will only accept Visa credit cards at its stores starting April 1, 2016. American Express credit cards will no longer be accepted on that date. Customers can still use Visa and MasterCard debit cards, write checks, or pay in cash. Costco members can also still purchase Costco Cash cards online and then use those gift cards to make warehouse purchases. Costco hasn’t said yet whether people will have to reapply for its rewards credit card. Citigroup says it plans to make the transition from AmEx to the Citi’s Visa card as “seamless” as possible. Costco card holders probably won’t need to reapply, industry experts say. However, a small number of Costco card holders won’t be approved for a Citi card. American Express and Citi have different credit standards and a person who may have qualified under AmEx may not be approved under Citi. I have never heard of anyone switching over issuers like that. I’ve seen people switch from one American Express flavor to another, or one Citibank flavor to another, but never from and American Express to a Citicard. To me, no reapplication means no new credit check on my report. We’ll have to see. Based on this comment from someone claiming to be a Costco warehouse manager, my prediction is that the new Citi Costco Visa card will offer a tiered rewards system that offers something like 5% back on gas, 3% back at restaurants, and 1% back on everything else. They won’t do bonus groceries as they already sell that kind of stuff in the warehouse. Basically, slightly better than the old Costco AmEx rewards structure and closer to what Sam’s Club offers. Berkshire Hathaway has released their 2014 Letter to Shareholders ]. To commemorate the 50th anniversary of Warren Buffett taking over the company (1965-2015), both Warren Buffett and Charlie Munger wrote separate letters discussing both the past 50 years and looking forward to the next 50 years. This is in addition to normal discussion of 2014 activities and performance. As always, the letter is written in a straightforward and approachable fashion. Even if you aren’t interested in BRK stock at all, reading the letter is very educational for investors and business owners of any experience level. Highly recommend reading the entire thing. In terms of investing advice for the individual investor, he talks about the difference between buying shares of businesses and buying “dollars”. The unconventional, but inescapable, conclusion to be drawn from the past fifty years is that it has been far safer to invest in a diversified collection of American businesses than to invest in securities – Treasuries, for example – whose values have been tied to American currency. That was also true in the preceding half-century, a period including the Great Depression and two world wars. Investors should heed this history. To one degree or another it is almost certain to be repeated during the next century. Stock prices will always be far more volatile than cash-equivalent holdings. Over the long term, however, currency-denominated instruments are riskier investments – far riskier investments – than widely-diversified stock portfolios that are bought over time and that are owned in a manner invoking only token fees and commissions. That lesson has not customarily been taught in business schools, where volatility is almost universally used as a proxy for risk. Though this pedagogic assumption makes for easy teaching, it is dead wrong: Volatility is far from synonymous with risk. Popular formulas that equate the two terms lead students, investors and CEOs astray. It is true, of course, that owning equities for a day or a week or a year is far riskier (in both nominal and purchasing-power terms) than leaving funds in cash-equivalents. […] For the great majority of investors, however, who can – and should – invest with a multi-decade horizon, quotational declines are unimportant. Their focus should remain fixed on attaining significant gains in purchasing power over their investing lifetime. For them, a diversified equity portfolio, bought over time, will prove far less risky than dollar-based securities. Provided that most of the Berkshire system remains in place, the combined momentum and opportunity now present is so great that Berkshire would almost surely remain a better-than-normal company for a very long time even if (1) Buffett left tomorrow, (2) his successors were persons of only moderate ability, and (3) Berkshire never again purchased a large business. But, under this Buffett-soon-leaves assumption, his successors would not be “of only moderate ability.” For instance, Ajit Jain and Greg Abel are proven performers who would probably be under-described as “world-class.” “World-leading” would be the description I would choose. 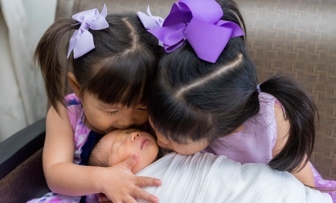 In some important ways, each is a better business executive than Buffett. Our directors believe that our future CEOs should come from internal candidates whom the Berkshire board has grown to know well. Our directors also believe that an incoming CEO should be relatively young, so that he or she can have a long run in the job. Berkshire will operate best if its CEOs average well over ten years at the helm. (It’s hard to teach a new dog old tricks.) And they are not likely to retire at 65 either (or have you noticed?). Greb Abel is 52 and Ajit Jain is 63. So my prediction would be Abel, the younger person. But really, the more important part of the letter is how they explain the structure and the culture of Berkshire will endure. 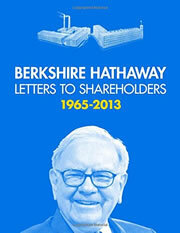 Shareholder letters from 1977 to 2014 are available free to all on the Berkshire Hathaway website. You can also now purchase all of the Shareholder letters from 1965 to 2013 for only $2.99 in Amazon Kindle format (~$22 paperback). Three bucks is a very reasonable price to have an approved copy forever stored in electronic format; you used to be able to find PDFs floating around on document-sharing sites, but it looks like they have reclaimed copyright protection on them. If you missed it, last year’s letter discussed Buffett’s Simple Investment Advice to Wife After His Death.